For more than a decade, writers have turned to William Germano for his insider’s take on navigating the world of scholarly publishing. A professor, author, and thirty-year veteran of the book industry, Germano knows what editors want and what writers need to know to get their work published. Today there are more ways to publish than ever, and more challenges to traditional publishing. This ever-evolving landscape brings more confusion for authors trying to understand their options. 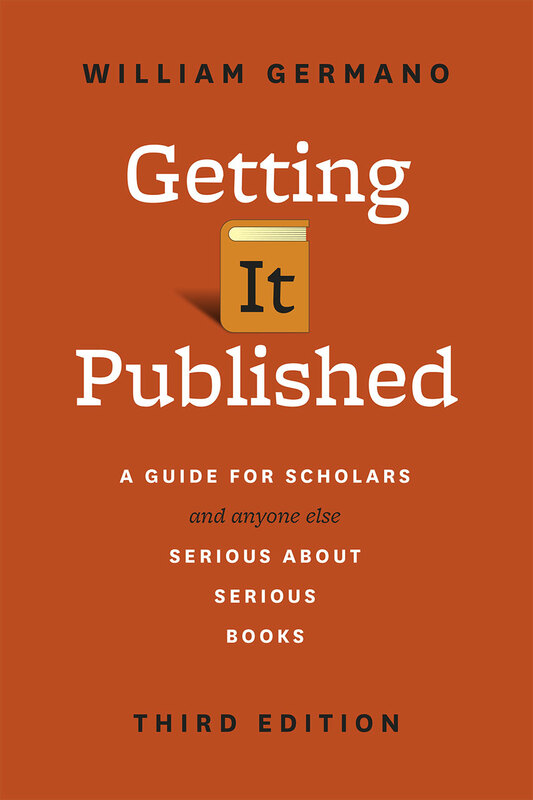 The third edition of Getting It Published offers the clear, practicable guidance on choosing the best path to publication that has made it a trusted resource, now updated to include discussions of current best practices for submitting a proposal, of the advantages and drawbacks of digital publishing, and tips for authors publishing textbooks and in open-access environments. Germano argues that it’s not enough for authors to write well—they also need to write with an audience in mind. He provides valuable guidance on developing a compelling book proposal, finding the right publisher, evaluating a contract, negotiating the production process, and, finally, emerging as a published author. 2 What Do Publishers Do? "The heart of the book walks the reader through the publishing process from the point of view of what the publisher wants from the author. This is what separates this book from all of the other books advising scholars on publication: it has as much insight from the publisher as the author. . . . Unlike other books on academic writing that focus only on the process of writing, Germano is ever aware that the sustainability of scholarly presses does not end with the tenure review committee and that today’s scholar must also see their work in the larger context of their field and the intellectual world that now includes the internet, open access, and e-books."